The wonders of modern technology are impressive but as this list of "The 50 Worst Fails in Tech History" proves, not every idea is a good one and even some good ideas just don't work out like they're supposed to. Do you remember the Apple Pippin? I don't, and I don't think that's just because I'm not a console guy. 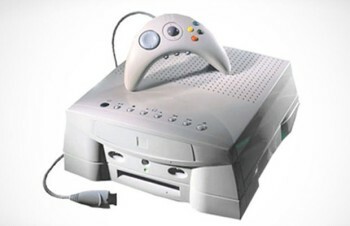 The unit came out in 1996 bearing a fat price tag and no software of note, and right into a market being warred over by Nintendo and Sega. 100,000 units were built, of which just 42,000 were apparently sold. That's a fail, folks; one of the top 50 worst fails in tech history. The list includes a few other infamous gaming products, like the Gameboy DSi XL, the Philips CD-i and the Nintendo Virtual Boy, as well as two separate versions of Windows. Microsoft is very well represented on the list, actually, but lest anyone get too smug, so is Apple. In fact, while some of these products are "one-hit wonders" from companies you've never heard of, most were created by huge, successful corporations. It would seem that for every iPhone on the market, there's a skeleton of a Newton hanging in a dark closet out back. I won't spoil the number-one biggest tech fail of all time, but I will say that I'd never heard of it before today; apparently it was such an epic fail that the company responsible for it pulled the plug almost immediately and buried it deeper than Jimmy Hoffa. I guess it's like the man said: if at first you don't succeed, destroy all evidence that you ever tried. The complete list of the 50 Worst Fails in Tech History is up at complex.com. Got anything you'd like to add?